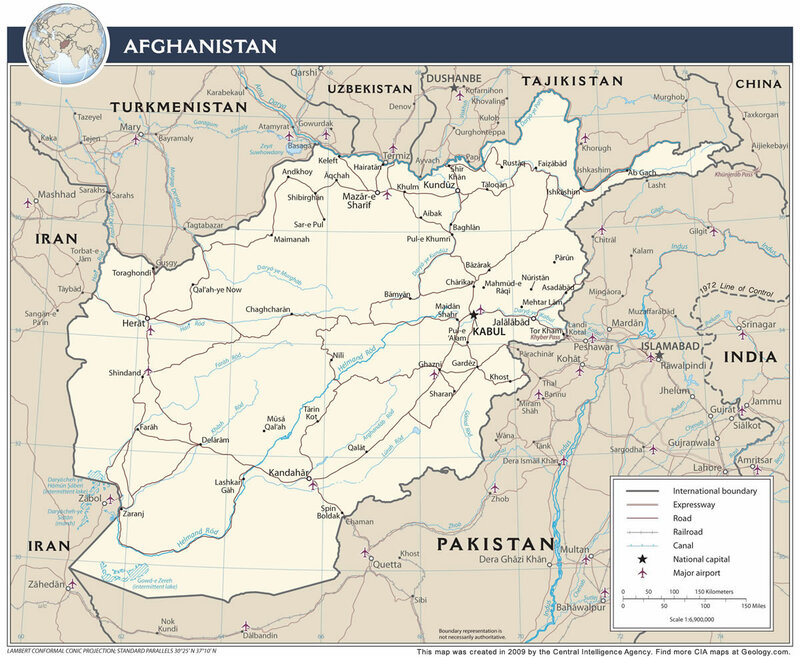 Afghanistan is located in southern Asia. 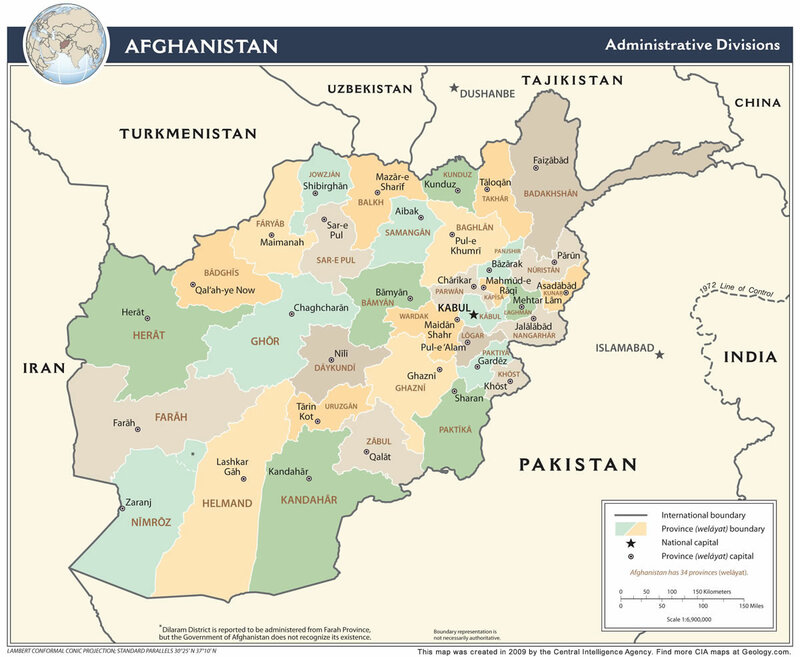 Afghanistan is bordered by Tajikistan, Uzbekistan, and Turkmenistan to the north, Iran to the west, and Pakistan to the south and east. Google Earth is a free program from Google that allows you to explore satellite images showing the cities and landscapes of Afghanistan and all of Asia in fantastic detail. It works on your desktop computer, tablet, or mobile phone. The images in many areas are detailed enough that you can see houses, vehicles and even people on a city street. Google Earth is free and easy-to-use. 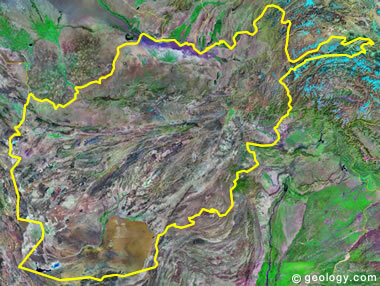 Afghanistan is one of nearly 200 countries illustrated on our Blue Ocean Laminated Map of the World. This map shows a combination of political and physical features. It includes country boundaries, major cities, major mountains in shaded relief, ocean depth in blue color gradient, along with many other features. This is a great map for students, schools, offices and anywhere that a nice map of the world is needed for education, display or decor. 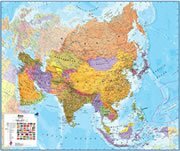 If you are interested in Afghanistan and the geography of Asia our large laminated map of Asia might be just what you need. 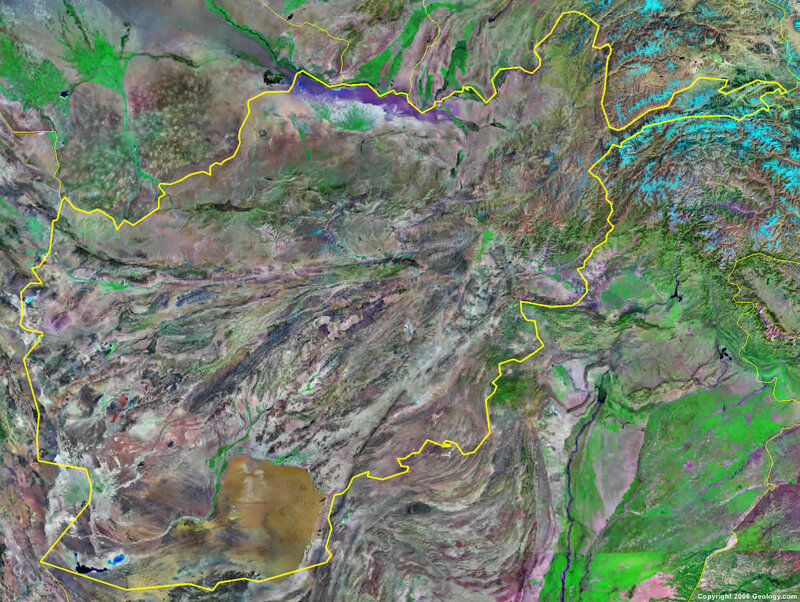 It is a large political map of Asia that also shows many of the continent's physical features in color or shaded relief. Major lakes, rivers,cities, roads, country boundaries, coastlines and surrounding islands are all shown on the map. Anar Darreh, Andkhvoy, Asadabad, Baghlan, Balamorghab, Balkh, Barak, Chaghcharan, Chah-e Ab, Charikar, Deh Shu, Delaram, Dowlatabad, Eshkashem, Farah, Farkhar, Feyzabad, Galalabad, Gardeyz, Ghazni, Herat (Hirat), Jalalabad, Kabzol (Kabul), Kadesh, Kajaki, Kandahar, Karokh, Keleft, Kholm, Khost, Kowt-e Ashrow, Kunduz, Lashkar Gah, Mahmud-e Raqi, Mazar-e Sharif, Mehtarlam, Meymaneh, Now Zad, Orgun, Qaleh-ye Now, Qalat, Qarah Bagh, Rostaq, Samangan, Sheberghan, Shindand, Spin Buldak, Taloqan, Tarin Kowt, Termez, Toktar, Towraghondi, Zaranji, Zareh Sharan. Paropamisus Range, Harirud River, Morghab River, Darya-ye Kondoz River, Harut River, Farah River, Khash River, Helmand River, Arghandab River, Amu Darya River, Hamun-e Saberi Lake, Gowd-e Zereh Lake, Ab-e Istadeh-ye Moqor Lake, Barai Ghar Mountains, Shinkay Mountains, Rigestan Desert, Chagai Hills Mountains, Dasht-e Margow Desert. Afghanistan is rich in fossil fuel resources. Natural gas, oil and coal are present in commercial quantities. Metal resources include copper, chromite, lead, zinc and iron ore. Industrial minerals include talc, barite, sulfur, salt, precious and semiprecious gemstones. 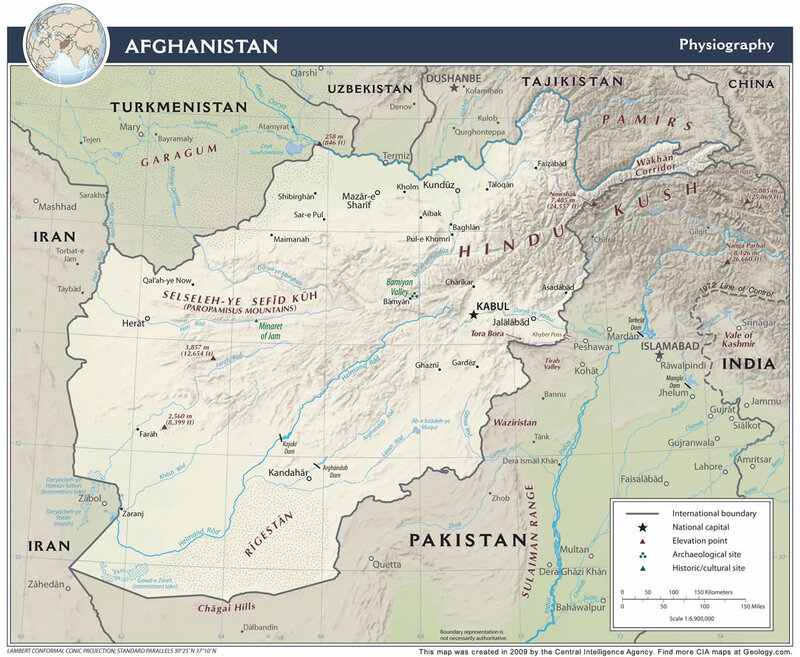 The natural hazards that happen in Afghanistan include flooding and droughts. In addition, damaging earthquakes occur in the Hindu Kush mountains. Afghanistan has a number of environmental issues related to water. These include insufficient supplies of potable water and limited fresh water resources. Water and air pollution are also a problem. The soil and land issues include: overgrazing, desertification, soil degradation and deforestation. Much of the remaining forests continue to be cut down for fuel and building materials.